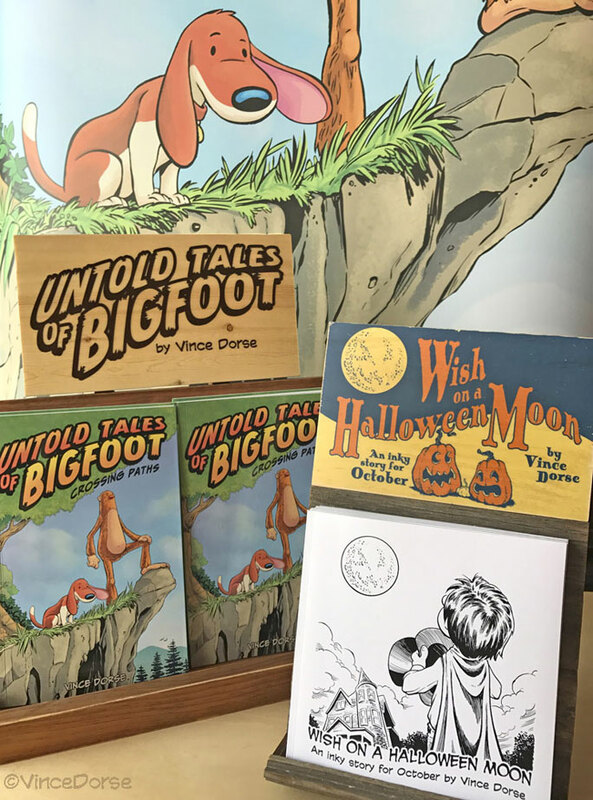 Bigfoot, Scout, and I are happy to announce Untold Tales of Bigfoot picked up a Bronze Medal in the 2017 Independent Publisher Book Awards in the category of Graphic Novel, Humor. In lieu of a ticker-tape parade, I’ll be emptying the bin of my document shredder onto my head in a private ceremony. “Why didn’t you win the Gold Medal?” you might ask if you were, say, my mother, or some other well-meaning fan. “Well,” I suppose I’d have to respond, “You shoulda’ seen the other guy.” And it’s true. The graphic novel category was filled with great looking books and it’s an honor just to be considered. I’m getting a medal. An actual medal! So if you happen to be in my local grocery store and find yourself thinking, is that guy in the dairy aisle wearing a giant, ostentatious medal around his neck? Yes, he is, and he’s buying the last of the blueberry yogurt. Another place you might spot me wearing that medal is the 3 Rivers Comic Con, May 20th-21st. It’s just under a month away, so I thought I’d let you know in case you were going to be in town. I’ll have books, prints, & more at 3 Rivers Comic Con, as well as this spiffy new UToB banner. 3 Rivers Comic Con is a small, local con, and I’ve never tabled there before. But judging from the guest list, it seems like a venue that really focuses on comics and creators (unlike some other local cons that seem to bank on booking ’70s sitcom stars).